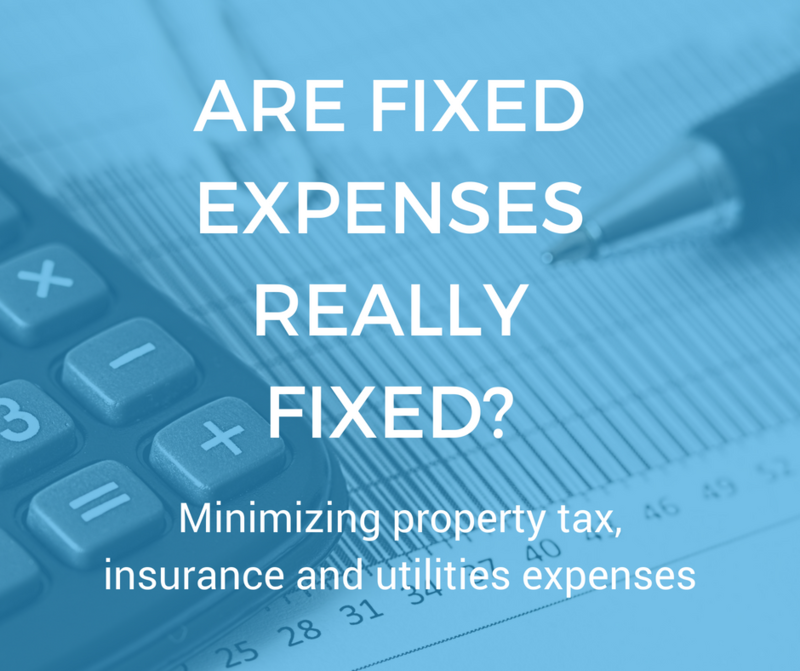 While the obvious areas for savings are items that can be negotiated with vendors like security or grounds maintenance, it's worth looking at fixed expenses, too, as taxes, utilities and insurance may not be set in stone. Property taxes are not as fixed as you may think. This expense is a significant chunk of a portfolio's regular operating costs, often representing the highest percentage of an asset’s verifiable expenses. Start by checking that the tax assessment-to-value ratio is correct. Do this by double checking the property's actual square footage, floors, and acreage against what has been reported to the tax assessor's office. A mistaken quantity could result in a higher tax bill. Another worthwhile tactic is to compare the assessment-to-value ratio against the area's average or against similar buildings. If the assessed fair market value is higher than similar assets in the area, it’s possible to appeal the taxes with the assessor. The process requires verifiable data and is only advisable if the cost savings are worth the invested time and energy. What about energy costs? Are your utility bills in line with similar buildings? Many commercial real estate operators are implementing demand response systems to take advantage of financial incentives offered by utilities to shift energy usage to off-peak hours. To learn more about this, see this article from Waypoint. 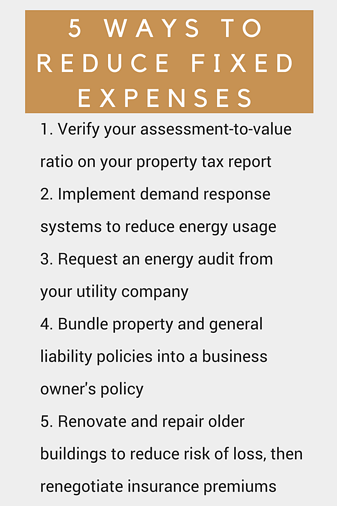 Consider investing in renovations and upgrades to a property that can save money in utility expenses over time. These include installing LED lighting, smart plug strips and auto-occupancy sensors. Particularly for office buildings, merely turning off the lights and adjusting the temperature when no one is in the building or in the room can translate into cost savings. Finally, keep in mind that most local utility companies will conduct an energy audit with recommendations to optimize usage. Reducing building insurance is another way to cut operating expenses. However, when investigating insurance as a cost savings avenue, be careful not to sacrifice adequate coverage. Hire an insurance consultant to make sure coverage is adequate and identify opportunities for savings. Bundling policies like Property Insurance and General Liability into a Business Owner’s policy might lead to cost savings. Renovating older buildings to bring them up to code or installing systems that reduce risks can save money on insurance. Any repairs that reduce a property’s overall exposure to loss risk could be an avenue to negotiating lower premiums with your insurance provider. Check data on Waypoint to see if your insurance expenses are in line with similar assets. Any cost savings, no matter how small, can increase value. Consider the multiplier effect of cap rates on a property’s net value. Every $1 of annual savings can result in $16 of increased net asset value. Today there are cost-effective and highly efficient solutions to streamline operating expenses and reveal areas for even the smallest percentage of gains. Refer to The Time Is Now: How to Unlock Asset Value and Maximize Returns for a new approach to decreasing operating expenses and mitigating risk.